1858 when he was severely wounded. 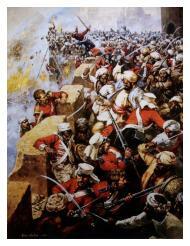 Henry Jerome was born in Antigua, the British West Indies on 28 February 1830 and retired as a Major General. He died aged 70 on 25 February 1901 in the city of Bath and was buried nearby in Lansdown Cemetery, Somerset. His Victoria Cross is in the Lord Ashcroft Gallery collection at the Imperial War Museum. 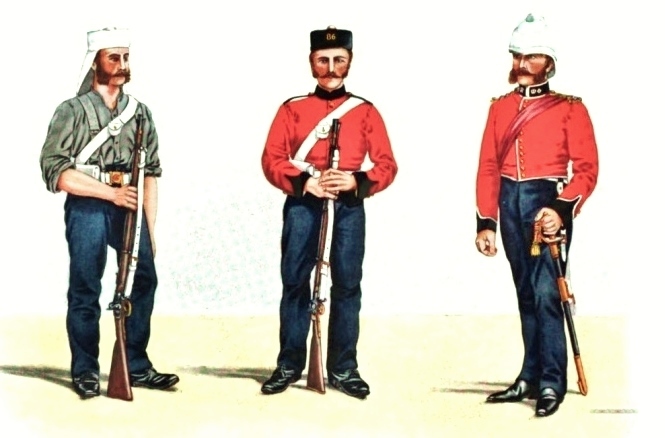 Left: 86th Regiment's dress during the period of the Indian Mutiny.